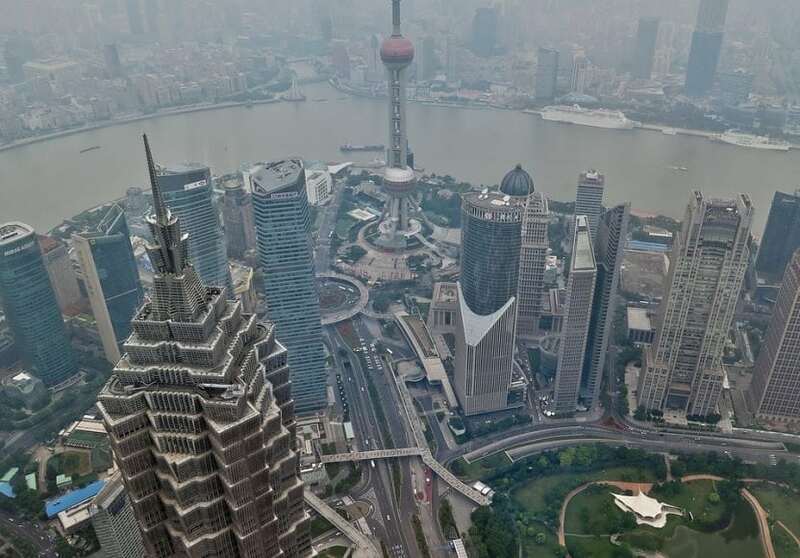 Due to its coal-dominated energy structure, China’s rapid economic growth over the past two decades has resulted in severe air pollution and substantial increases in CO2 emissions. Until 2015, coal use still accounted for 64% of China’s total primary energy consumption, compared with merely 6% from natural gas — far below the global average of around 20%. As the world’s largest CO2 emitter, China pledged to peak national CO2 emissions by 2030 or sooner. Substituting natural gas for coal is identified as one carbon mitigation option. In its Nationally Determined Contributions (NDC), the Chinese government plans to increase the use of natural gas to over 10% of national primary energy consumption by 2020. Our paper evaluates the major challenges that may constrain the carbon mitigation potential of natural gas uses in China. Basically, we find that challenges exist in expanding natural gas supplies, encouraging coal-to-gas substitution, and ensuring a lower lifecycle carbon footprint for natural gas than coal. Primarily for geologic reasons, China has abundant coal reserves but is relatively poor in conventional natural gas resources. To increase natural gas supplies, the Chinese government has been expanding natural gas imports and facilitating domestic unconventional gas development. However, the actual natural gas production and imports are consistently below the government targets. Slower-than-expected gas supply increase is partly due to constraints such as unfavorable geology and immature technology. Meanwhile, market barriers have also played an important role in delaying natural gas development in China. Until now, China’s natural gas market was essentially controlled by three national oil companies (NOCs) that own virtually all natural gas production facilities and pipeline infrastructure. Natural monopolies result in an uncompetitive gas production market. This, consequently, leads to low incentives for NOCs to invest in technology advancement and efficiency improvement, which could have significantly reduced gas production costs. More importantly, natural gas markets in China are heavily regulated by central and provincial governments. Recent natural gas price reforms have tried to link domestic natural gas prices to international oil markets and to provide an automatic mechanism to frequently adjust natural gas prices. In reality, however, the city gate gas prices were only occasionally adjusted by China’s national development and reform commission (NDRC), even though fuel oil and LPG prices have indicated much more frequent and significant changes in natural gas prices would have been appropriate. This not-fully-market-driven city gate natural gas prices can sometimes be lower than the actual production or import costs, causing substantial economic losses for the three NOCs in spite of the financial subsidies provided by the central government. Financial losses in upstream natural gas businesses have further dis-incentivized industrial investments in gas production and import, which partially explains the lower-than-expected increases in China’s natural gas supplies. On the natural gas consumption side, though the regulated city gate natural gas prices can be lower than production or import costs, end-use natural gas prices are still not competitive with cheap coal. As a result, this hindered a large-scale coal-to-gas end-use transition. Therefore, China is facing a fundamental price dilemma in the natural gas market: a relatively low (relative to the costs of production, import, and transport) city gate natural gas price which discourages investment and development of the natural gas supply, and a relatively high (relative to coal) end-use gas price which disfavors a gas-for-coal transition in end-use applications. Thus, it is critical to address the root of the price dilemma. First, create a competitive natural gas supply market that allows more investors to enter the market, thus increasing competition and incentivizing cost reductions. Second, let the market determine city gate gas prices after appropriately resolving the natural monopoly issue. By following these two steps, we expect an improved gas supply market that can increase gas supplies at a reduced cost. On the consumption side, a primary goal is to decrease end-use gas prices relative to coal. To achieve this, a competitive natural gas distribution market (free of the intervention of provincial gas distribution companies) is found to be critical. Also, a price on carbon can help to increase the competitiveness of natural gas over coal. Notably, the effect will largely depend on the actual carbon prices. Additionally, more investment in the natural gas pipeline and storage infrastructure is becoming increasingly crucial to resolve the geographical and seasonal mismatch between natural gas supply and demand. Another challenge is that the carbon footprint of natural gas is not necessarily lower than coal, due to the choice of natural gas sources and methane leakage. Most natural gas sources can contribute to China’s NDC by substituting for coal. However, methane leakage from natural gas systems will partly offset the CO2 reduction benefits from a coal-to-natural gas transition and is important to minimize. We, therefore, emphasize the need for the next round of NDC to include methane leakage from the oil and gas industry to ensure effective GHG mitigation efforts. Assuming the challenges discussed above are carefully addressed, natural gas can play an important bridging role in China’s low-carbon energy transition in the near future, while bringing notable air quality and energy security co-benefits. In the long run, however, we suggest it is critical to further decrease the carbon intensity via electrifying China’s economy. These findings are described in the article entitled, Challenges of using natural gas as a carbon mitigation option in China, recently published in the journal Energy Policy. This work was conducted by Yue Qin and Denise L. Mauzerall from Princeton University, Fan Tong from Carnegie Mellon University, and Guang Yang from the Energy Research Institute.